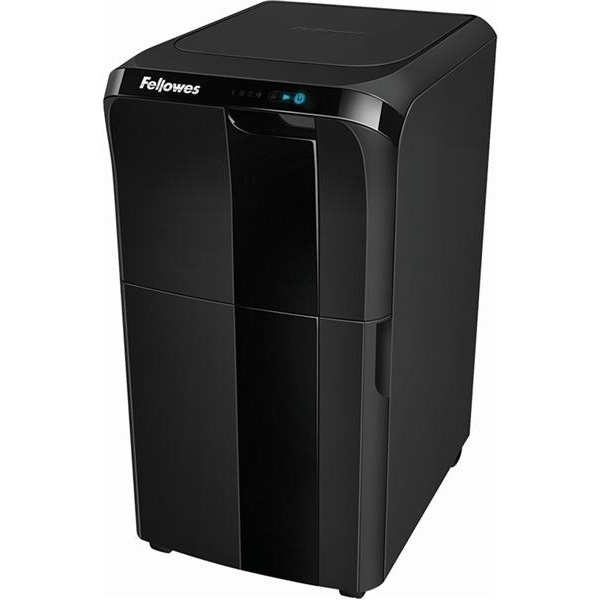 Fellowes AutoMax - The world's first Truly Hands Free Walk Away Shredder. 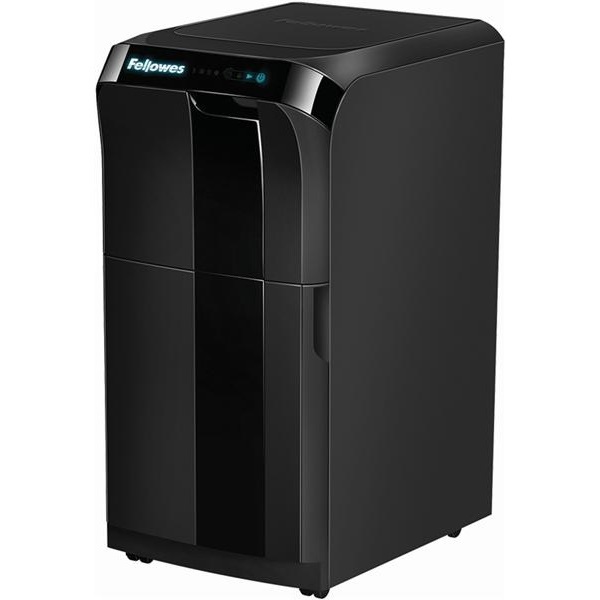 The Fellowes® AutoMax™ 300C features SureFeed Technology™ that allows for a truly walk away shredding experience. 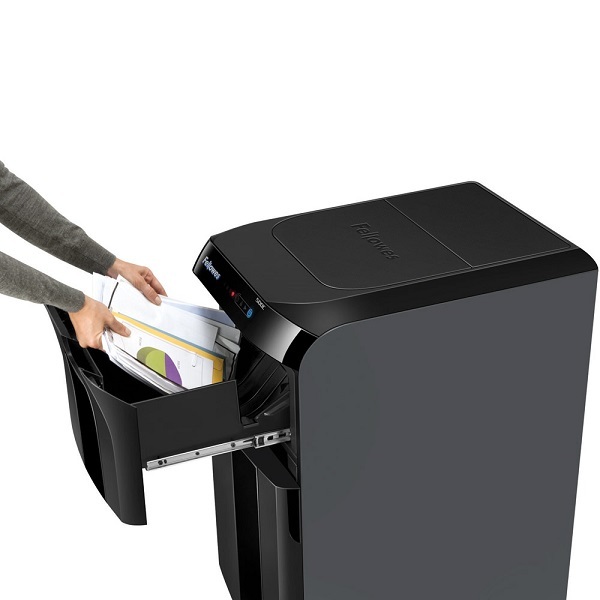 Shred crumpled paper, double sided color printed paper, glossy paper, multiple sheets folder over, paper clips, staples – even junk mail and DVDs - No more wasting time and effort “preparing” documents! 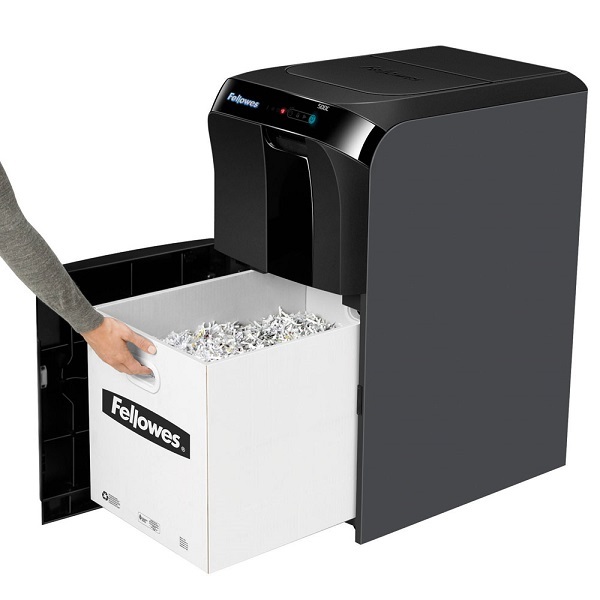 Simply load up to 300 sheets into the shredding drawer, close, press shred and walk away - 4 mm x 38 mm Cross (Confetti) Cut (security level 3) shredder - 220 mm throat width for A4 documents. Duty Cycle: Maximum 30 minutes runtime before a cool down period is needed. 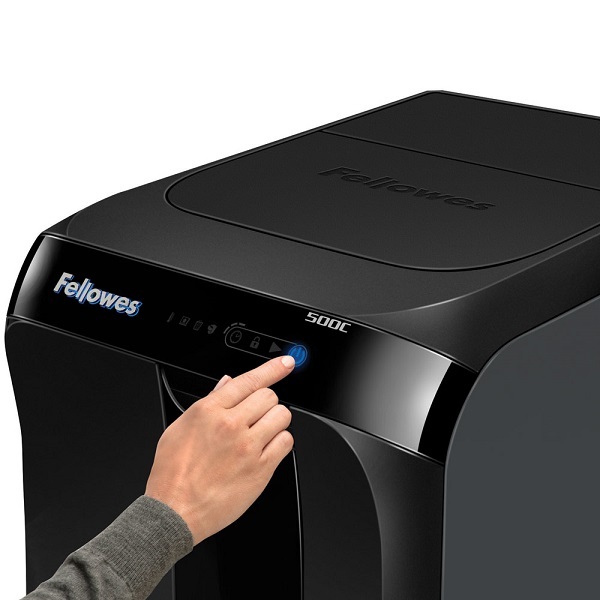 Recommended daily capacity of 1,000 sheets. 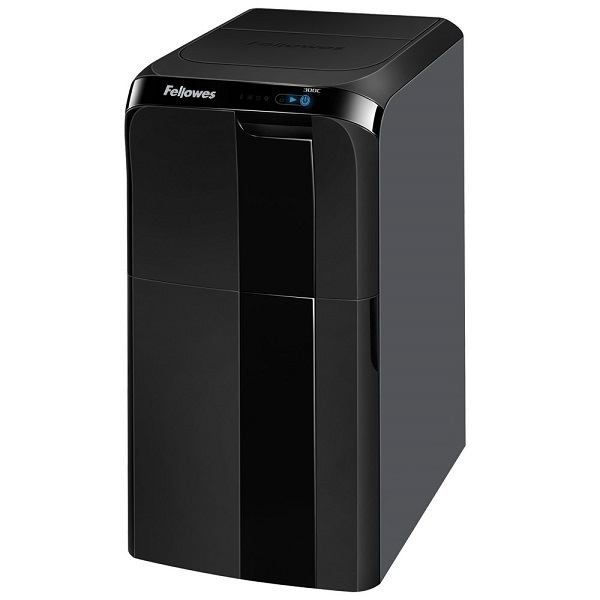 The Fellowes® AutoMax™ 500C features SureFeed Technology™ that allows for a truly walk away shredding experience. 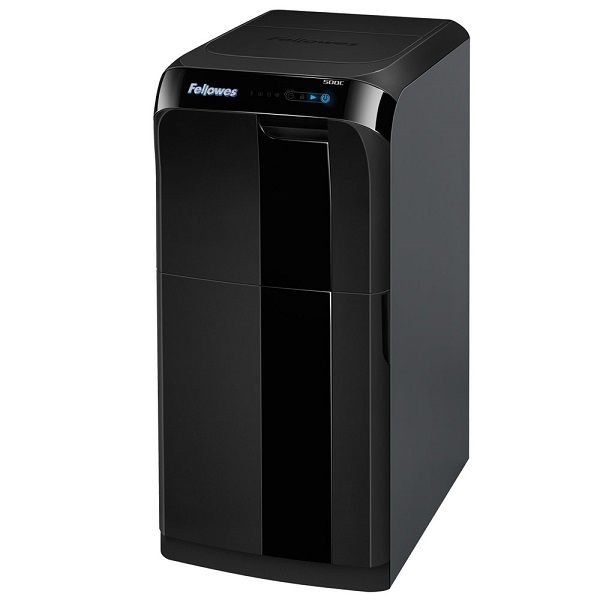 Simply load up to 500 sheets into the shredding drawer, close, press shred and walk away - 4 mm x 38 mm Cross (Confetti) Cut (security level 3) shredder - 220 mm throat width for A4 documents. 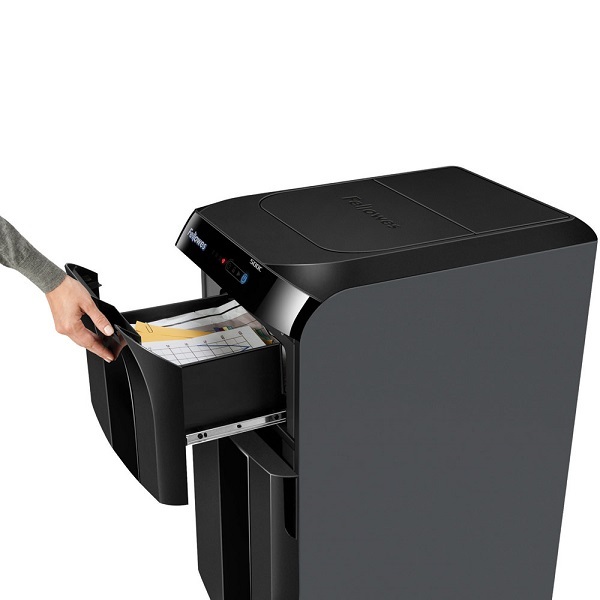 Duty Cycle: Continuous runtime with a recommended daily capacity of a whopping 2,500 sheets!